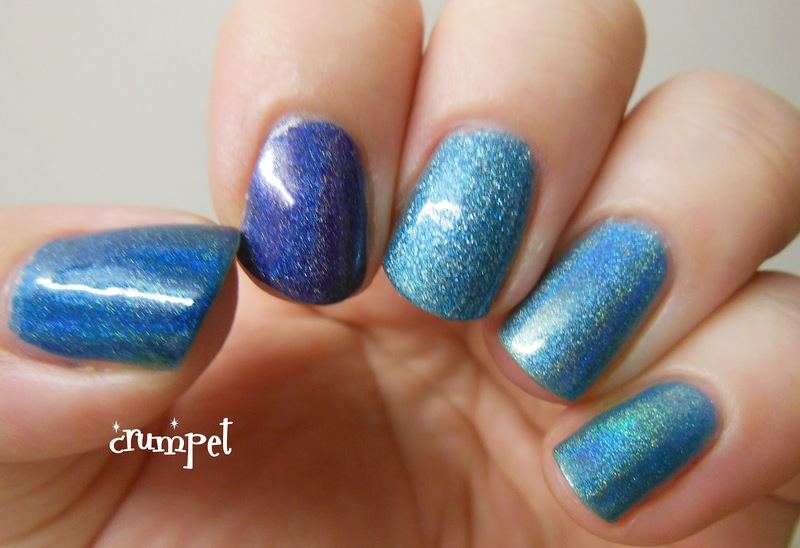 I wanted to do another holo comparison post because ... well, who doesn't love holos lol, and you seem to enjoy these posts too. If we start by stating the obvious, we are looking at 2 types of blues here - darker, denimy blues (Apolo and Glamour) and then sky blues (the other 3). Let's take the darker ones first. 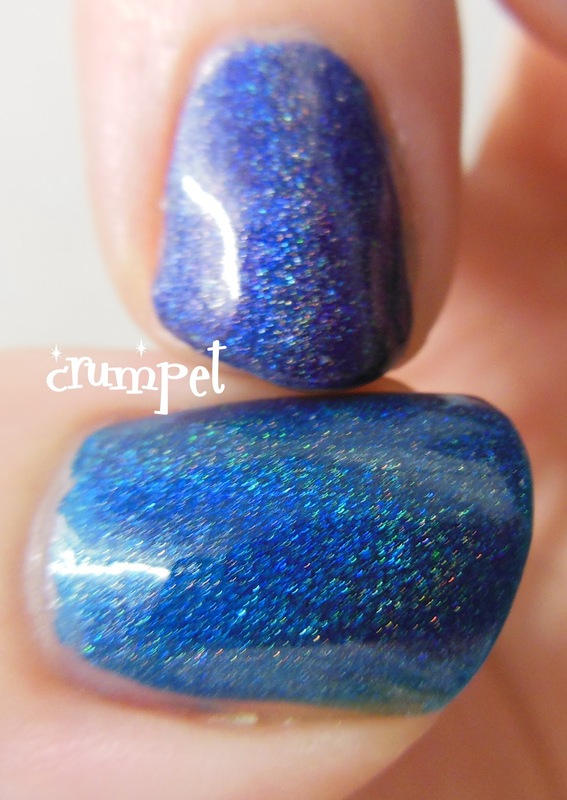 I bought Apolo because I thought I would never get my hands on DS Glamour :) To be honest, Glamour (index) is everything you need in a blue holo - denimy, dreamy and dazzling. 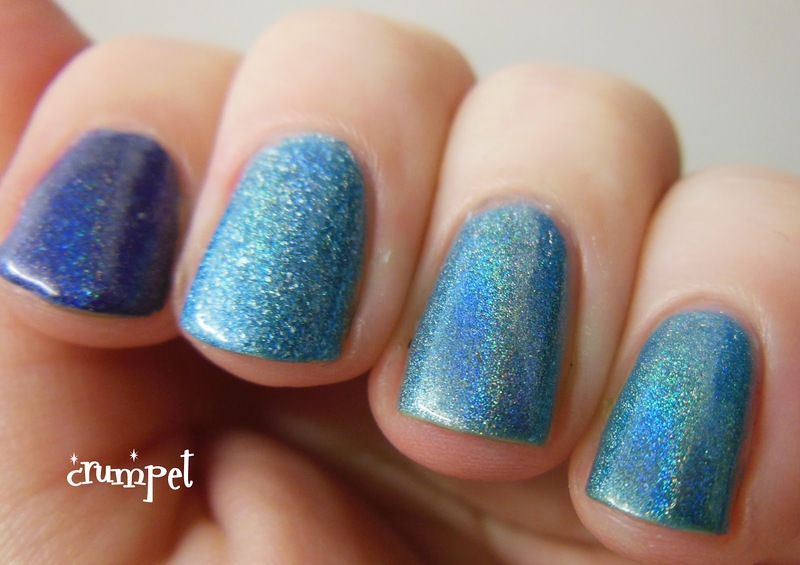 Apolo (thumb) is a tad greener and aquatic in tone, and as the HITS polishes are such good quality, I keep it for nail art (not wanting to waste a drop of my precious Glamour lol). 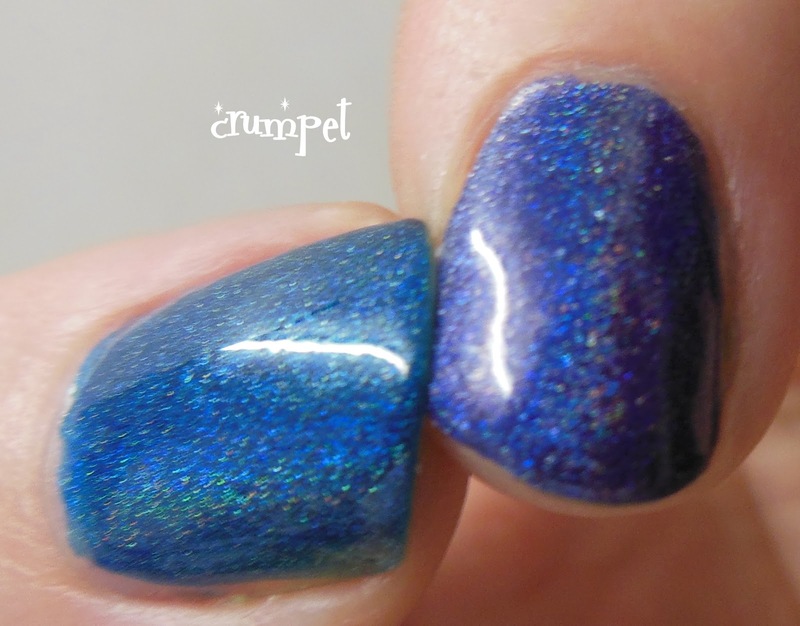 You may remember that we had 2 Ozotics when we did the red holo comparison HERE, and that on that occasion, one of them was a coarse grained holo, and the other was smoother and lusher. We have exactly the same situation here. 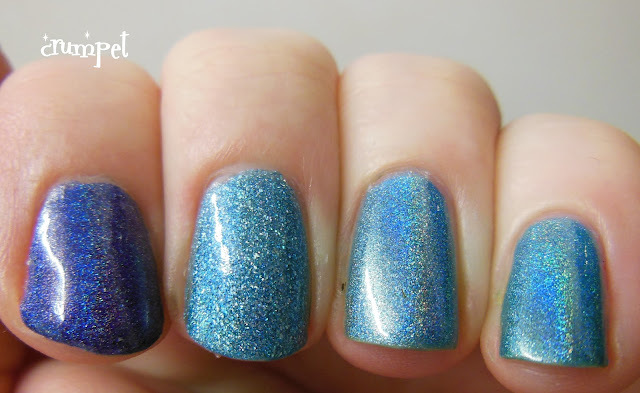 617 (middle) and 515 (ring) are both the same colour, and they're both holographic - the only thing that differentiates them is the size of the holo particle, 515 on the ring finger being the smooth baby. And then the surprise - Ozotic 515 and Jade Hypnose (little finger) are DUPES !! 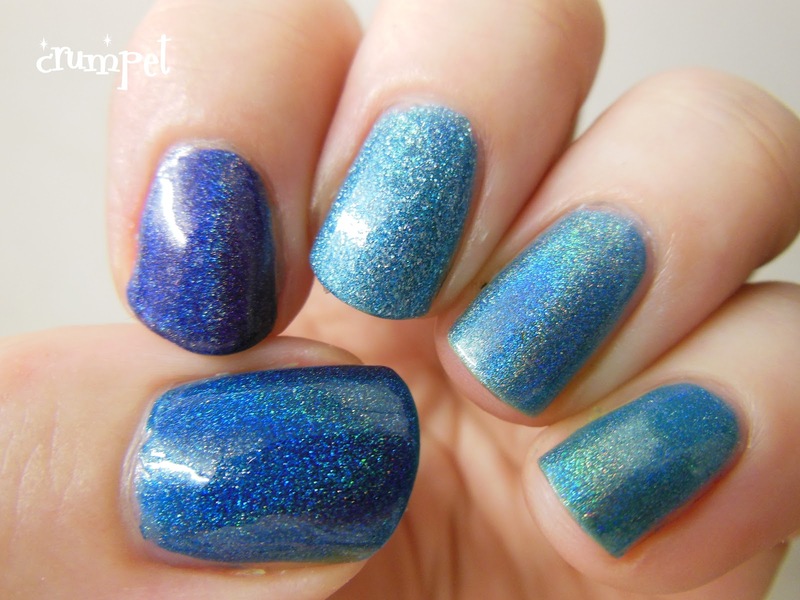 Just look at them - dead on in colour, tone and holo-ness. 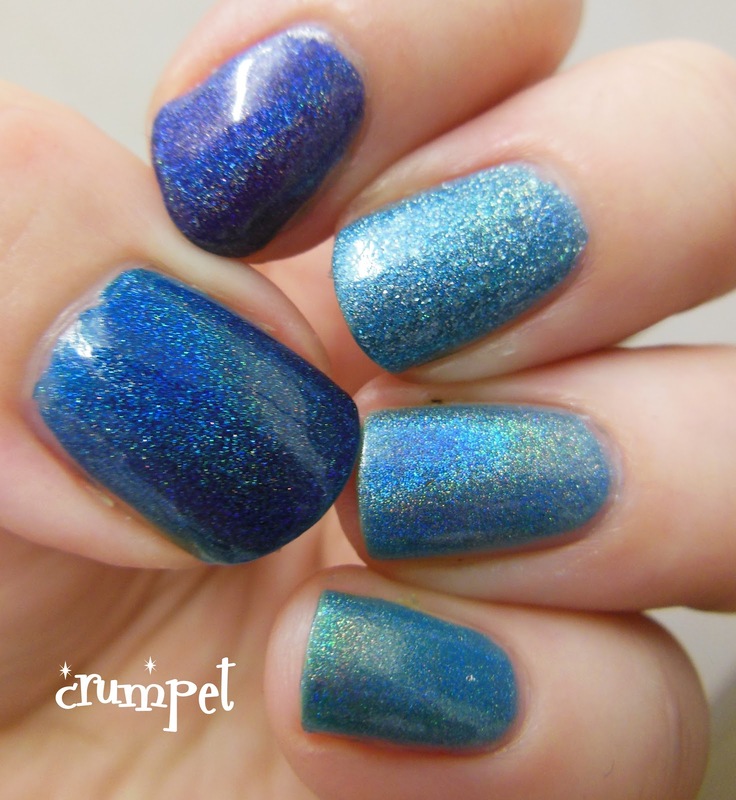 In real life there was maybe 1 degree of difference between these 2 colours, nothing more, so if you own 1, you definitely don't need the other, but if you don't own either, you're going to have to go for the Jade (which is cheaper, anyway) because both Ozotics are now discontinued.